The Water Store suggests testing your water annually in NH as it’s important to the health of you and your family, but what many do not know is the best time of year to receive your water test from us is during the spring and early summer. Just as many other parts of the country, New Hampshire receives a good majority of its rainfall during the late spring and early summer months. Between these influxes of rain and melting snow, these conditions provide a great opportunity to see the extremes of contaminants found in well water. Nearly 36% of New Hampshire residents obtain their drinking water through private wells, and given specific regulations and criteria surrounding private wells, these water sources are often only tested at the discretion of the homeowner. 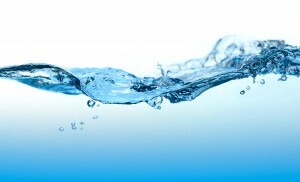 Contaminants and various compounds are often found in well water because of the filtration rainfall endures. As it passes through dirt, rocks, and other pieces of the environment before reaching your well, it is likely to pick up compounds not naturally found in rain water. These compounds can be nearly harmless, such as iron, or extremely dangerous to your health, such as lead or radon, both of which are known to cause cancer. Not only do we reveal the compounds in your water, we can help you find a solution to your drinking water needs. From drinking water systems to reverse osmosis systems, our experts will assist you in finding a water system that is right for your budget. Don’t waste anytime, set up an appointment with us today to receive your water testing in NH by calling us at (603) 899-6680.